Welcome to the Bloomsbury Alexander Centre, a well-established centre of excellence for the delivery of individual lessons, introductory courses and workshops on the Alexander Technique. I have been taking Alexander Technique lessons for a year in order to correct a bad back and bad posture. I have found the changes to habits disconcerting and interesting at the same time. Often a day or two after the weekly lesson, I find a muscle suddenly activates that I must have been permanently inhibiting until then. Similar, but opposite, Natacha’s instruction to inhibit habitual tension, although it takes self-discipline to apply, has made big changes to my posture and my back pain has reduced a lot. I can’t compare with other AT teachers but I always enjoy going to the lessons and find Natacha always informative and interested. My sessions with Loretta have been transformative. Having been into fitness for many years and rapidly developed in my career, I considered myself pretty tuned in to my body and pretty good at dealing with stress. However I was totally stumped this year by the exams to gain my motorcycle licence, in which nerves were having a direct impact on my technique. I suspected tension was affecting brain and body and it had to stop. I read a book on the Alexander Technique and called upon Loretta for help. In our first session Loretta’s friendly but professional manner instantly gained my trust and her calm demeanour was infectious even before we got started. Her approach has since increased my awareness of many subtle but problematic habits that I wouldn’t have otherwise spotted, and has both taught and motivated me to develop good new habits. Within weeks I had passed my exams, and within months surpassed my own expectations, progressing to advanced riding techniques and tours with a new level of calm and enjoyment. Meanwhile, the techniques are there throughout my life, improving my relationships and leadership too. Loretta is a first-class teacher who exudes positivity and professionalism, and every session is a delightful combination of relaxation and discovery. Try it and you will be hooked! It is no exaggeration when I say that the Alexander Technique as taught by Natacha Osorio has changed my life. I sought out the Alexander Technique to alleviate the pains caused by bruxism, only to be gently introduced to a whole new way of relating to my body as an entity. I was not familiar with Alexander Technique and I tend to be sceptical about approaches that are not mainstream, but a friend recommended Alexander Technique. Around the same time the British Medical Journal published a study that indicated that Alexander Technique can be effective. I have many bad habits, often do heavy physical work and as a consequence have several chronic problems. Learning Alexander Technique from Michelle Cole has been enormously helpful: it has not only reduced my existing problems, but I also learnt how to prevent more problems. I recommend Michelle very highly. A place of calm and for reflection, not far from the stressful City office where I work. I first went to the Centre because of a trapped nerve in my neck but since then Natacha’s thoughtful teaching has helped me discover or acknowledge many things I could do better, allowing me to deal with work with more self-awareness and a greater sense of well-being. Thank you. I dance tango and I decided to have Alexander Technique lessons when one of my dancing partners complained about my poor posture. I also have a history of back trouble and coordination problems; my movements have always been clumsy. I decided to take up lessons with Loretta Manson because I liked the way she walked – with a dignity and grace that I wanted for myself. Within a few weeks my of starting lessons the same partner started to comment on the improvement in my stature. My back was straighter and my movements and general bearing were much better. I started lessons with Loretta a year ago now and I’ve noticed the improvements myself. My back pain has lessened and I was able to get rid of my back support I had bought at the back shop twenty years ago because I no longer need it. Before I started my lessons, the act of sitting down and standing up were a major production; I would fall into a chair rather than lower myself into it. When I went to stand up I would heave my shoulders up and push myself dramatically upwards. I now try to lead with my head and use much less effort. I can also remain seated in a chair with a great deal more ease now. I found the lessons tiring at first; the tiredness has lessened. I’ve noticed that my movements are much more fluid, but the changes are not just physical; I am more disciplined in the way I respond to outside circumstances. I am realising that Alexander technique is not just about posture, it’s about how you live your life. Part of my learning is waiting before I speak to consider what I want to say and how. I now take a little more time before I speak, instead of exploding into ill-considered words which cannot be taken back when blurted out in anger, or by just not thinking. I can truly recommend Loretta to people struggling with movement and body issues and those who are seeking to improve not only their outward appearance, but to alter their perceptions of who they are. Loretta combines discipline with a great deal of humour and a deep understanding of how vulnerable people can be when taking steps to alter their lives in a deeper and meaningful way. It’s the only thing I’ve found in many years of searching where I am in control and not someone else, and it’s actually delivering the goods. 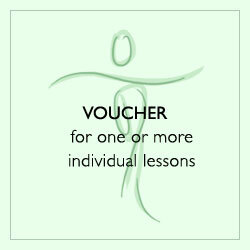 As someone with a long term medical condition, I decided to explore the benefits of 1:1 tuition in Alexander Technique as a follow up to group lessons where I discovered a number of improvements in how I was feeling on a day to day basis … a feeling of lightness, of being less tired and of improved balance. Even after a few sessions, I noticed how quickly my mind and body began to respond on a daily basis, in between lessons, accompanied by a feeling of my spine lengthening and neck releasing. My teacher, Natacha Osorio often says there is no magic involved! However, through the guided touch of the teacher’s hands, it is as if the body speaks and responds naturally, learning to function anew with calm, ease, and lightness. What I learned was that poor posture and compression of the spine, which often accompany tiredness and fatigue, are not inevitable. This challenged some of the assumptions I had about my condition; by ‘re-educating’ my mind and body the Alexander Technique has restored a most valuable inner energy I thought I had lost (was in danger of losing?). Even when symptoms return, I am confident my body knows how to respond in a creative and healing way. By re-establishing the strength of the back and balance of the whole skeleton it is possible to breathe with greater freedom and depth and experience greater ease of movement and improved circulation. I am most grateful to my teacher Natacha for her dedication, inspiration and sensitive approach throughout. The Alexander Technique has always been something I have connected with, as an actor, as a teacher and as a voice practitioner. It makes sense to me, it beautifully dovetails with Estill Voice, it is rooted physiologically and I have been blessed with the good fortune to have the finest teacher around. Natacha Osorio introduced me to FM Alexander’s work in 2003 and I’ve used it pretty much every day since.Not only in my practise as an actor & musician, but assisting me in dealing with the excruciating pain and muscle spasms that I suffer as a result of a coccygeal fracture I acquired in 2004. Today, when I came for my lesson I told you my back was aching and that I had just had a very stressful day at work. At the end of my lesson the backache had all but gone. Quite miraculous really! Thank you Antonella! I started lessons with Loretta Manson when I was desperate with my chronic neck pain. It was only getting worse in spite of trying physiotherapy, massage and pain killers. Alexander lessons made me aware of bad habits and helped me to correct them. I am still in the process of recovery, but the lessons with Loretta really made a difference and I’ve come a long way since I started. Loretta is a great teacher, she has authority but at the same time is really sweet and lovely. I would really recommend trying a few lessons and seeing how it goes. 30 years ago, I was saved from an operation on my upper spine after taking Alexander Lessons. An acute pain from a pinched nerve going down my right arm disappeared. 7 years ago, I started swimming the beautiful Shaw Method which is based on the Alexander Technique and now swim almost daily for pleasure. Now 70, I feel that my health and general sense of well-being could not be better. Thank you Michelle Cole for my now bi-annual lessons. I still come away with new gems of self-awareness. The Alexander Technique has changed my attitude to myself. While before I was getting stressed and would not have noticed until I was in pain, now I can feel myself tensing up and I go “ha I am tensing!! I give my directions and I feel my neck instantly release. Transformative! Thank you. Over ten years ago when I started the Alexander Technique with Alan Bignell, I hoped it would cure my very stiff neck – nothing else had improved it. To my delight the problem soon disappeared and by then I realised the many other benefits the Technique was bringing me. Awareness of the way I use my body became ingrained, preventing pain and discomfort even in cramped theatre seats, on trains and planes! It also helped me recover well from two hip replacements with good posture. I warmly recommend it. I was lucky enough to find Alan Bignell and be introduced to the Alexander Technique at a time when I felt the medical profession had given up on me. I had suffered severe Sciatica for over a year and had tried many different remedies and treatments with little success. As an actress and dancer this was an extremely frustrating and debilitating. Alan immediately put me at ease and took the time to learn my history and the physical and emotional habits I had unconsciously caused my body to follow. Alan’s calm, non-judgemental yet consistently encouraging manner coupled with his extensive knowledge of and dedication to the Alexander Technique ensured that my health steadily improved & the pain disappeared. Most importantly, Alan empowers his pupils to gain an increased awareness of their bodies so that healing and future injury prevention takes place outside of lessons also. I cannot recommend Alan and the Alexander Technique more. My lessons resulted in not only my complete recovery but also being fit enough to engage in fulltime dance training & further my professional performance career. I’m so glad that I decided to find out about the Alexander Technique and take up lessons, as it is a skill that really does help in everyday life. The Bloomsbury Alexander Centre is a wonderful place in which to learn the Alexander Technique and I enjoy my lessons very much. I have been practising the Alexander technique for about 10 years now, and I can really say that it has significantly changed my life for the better. My posture has improved, and with it my whole appearance, my chronic back pain was gone, and I generally feel more grounded in my body. I was fortunate to study the Alexander Technique with Natacha Osorio as part of my masters training in voice coaching at Central School of Speech and Drama. The extended training I received has become the foundation of my approach and informs my daily practice as a teacher. This has enabled me to develop greater stamina, flexibility and sensitivity in my own voice and enabled me to respond in the moment to thought and text with increased awareness and possibility. It is great news that the Bloomsubury Alexander Centre will be running workshops in Alexander Technique and Voice offering the opportunity to work and learn under such an experienced, distinguished and inspiring teacher in central London. Do not miss! 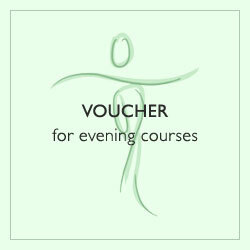 We offer bespoke gift vouchers to suit your budget and the person you are giving to. We also offer personalised packages with discounts. 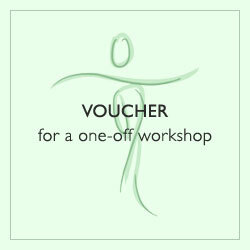 Please contact us to purchase the vouchers.